When I started my Detroit Hye Times project, I didn’t realize how close I was going to be with the upcoming 100th anniversary of the Armenian Genocide which is in 2015. It was not my intent in creating this project to mark the remembrance of the Genocide, as I have something else in mind to commemorate that event. Remarkably, I have spoken to some friends that referenced the anniversary and complimented me on creating a project in honor of it. Certainly when one thinks of this project a major connection to the Genocide is a natural one. In many ways Detroit Hye Times honors the memory of over 1.5 million Armenians that were massacred in 1915. As immigrants fled the Genocide seeking a new home, Detroit was one of the major locations in the United States where people settled and created a family. 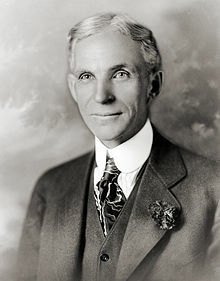 Henry Ford and his assembly line factory process for automobiles attracted many immigrants from Arabs, Greeks, Hungarians and Armenians to the metro Detroit area because they knew they could find work and a steady pay. In the Detroit area, many Armenians landed in Delray and Highland Park because of those Ford factories. 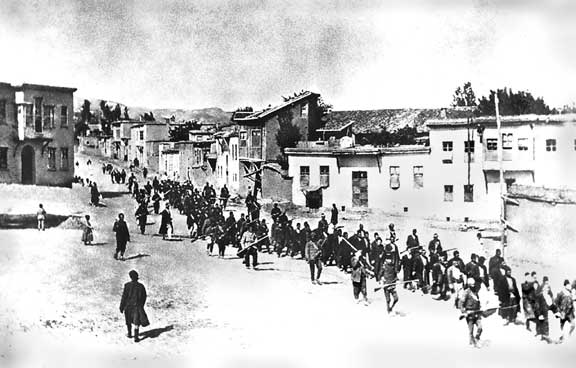 When Armenians think of the Genocide, we tend to mark the anniversary with sadness and frustration. The frustration comes from the Genocide denial from the Turkish government. Countries around the globe have accepted and publicly acknowledged the horrific incident, but Turkey continues to dismiss and deny its historical fact. The United States has yet to use the word ‘genocide’ when referring to the incident of April 24, 1915. So much more can be said about the Genocide, but I raise it to prove a point and connection of why I want to create this film documentary. Certainly I understand why we as Armenians mark this date for sadness and frustration, but I feel that we can also honor the memory of those lost by focusing on the rich heritage that wasn’t taken away from the Armenians. Last year I performed a concert in downtown Detroit and in my introductory remarks, I said that the music we play, the music we honor and keep alive is what wasn’t ripped from our souls. Our music represents not only sadness but happier times. No, this wasnt taken from us and in producing Detroit HYE Times, in my indirect way, I hope to honor the history of the Armenians and give respect to close to 100 years since the first Genocide of the 20th Century. This entry was posted in Uncategorized and tagged Armenian, detroit, Genocide, Henry Ford, Massacre, michigan, Turkey. Bookmark the permalink. Looking forward to seeing the finished product of your work. My dad’s family settled in Delray and my mother-in-law’s family came from Highland Park. When her memory is good, she talks about her family’s home and who lived downstairs in their multi-family flat and in the neighborhood. Janet, any photos of the neighborhood from those days? Good luck to you in finishing this story. This is one that needs to be told. So proud of my fellow Armenians keeping our heritage and history alive. Can’t wait to see it!